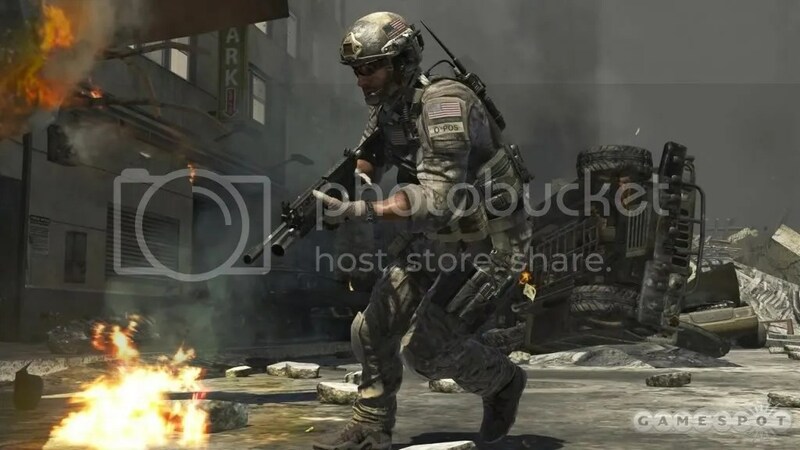 In a recent pre-E3 press event, Activision showed off the New York and London levels from Modern Warfare 3. There are new features such as a swappable ACOG and red-dot sight attachment so you can switch back and forth between them depending on the situation. If you check the second article there’s also a new 9-bang grenade which seems like it’ll be a cluster-flashbang (think cluster bombs with flashbangs instead). The last new weapon that was shown seems to be some kind of penetrating grenade launcher, but the description isn’t all that clear (well, to me, at least). Based on the article(s) it seems to be more of the same of MW2 (with improvements), which was, in turn, pretty much more of the same of MW1 (with improvements). The end result is still more awesomeness (with improvements), so you can’t go wrong with that. This entry was posted in News, PC, PlayStation 3, Xbox 360 and tagged call of duty, gamespot, infinity ward, modern warfare 3, mw3. Bookmark the permalink. I’m excited for this game, although Battlefield has me more jazzed. I can’t remember much of the story of MW2 so I think a visit to the Wikipedia page will be needed before I hop into this game. The new weapons don’t really do it for me though. I’m sure the single player will be fine and the multiplayer will be fun for a bit but I think Battlefield will be my go to game for fun multiplayer action. This is just me speculating though. Haven’t seen much of BF3 actually, but from what I have (basically one trailer) it looks great. The new weapons are somewhat interesting but yeah, either way I’m stoked. Guess I’ll check out more on BF3, not sure how the multiplayer is going to be like besides the usual BF action.